3. SKY bearing, low operating sound, extended operating life. 4. Lubricant filter design, lubricant can be refilled when Servo Driver Motor is in operation. 1. 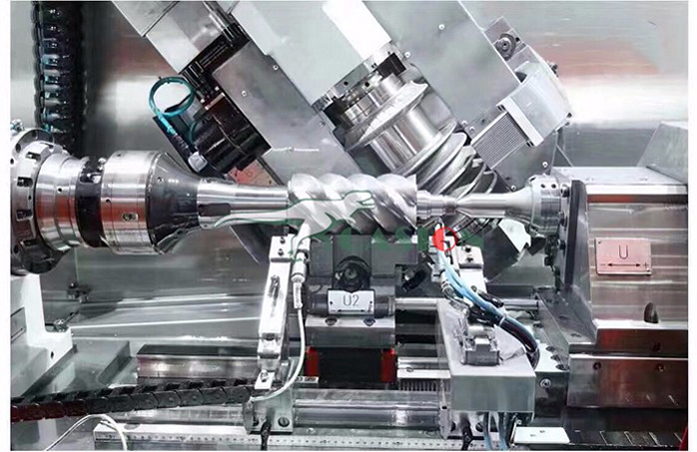 Air end:Patented line of large-diameter rotor design.Airend and diesel is directly connected through high-elastic coupling without increasing gear. Speed of air end is consistent with the diesel engine which make it higher efficiency, better reliability and longer life. 2.Diesel Engine :Using the famous diesel engine, like the Steyr, Yuchai and so on. Strong power, reliable operation, fuel saving and low-level emissions and noise. 3.Gas Servo Control System is simple and reliable. Inlet rate from 0 to 100% and be adjusted automatically depending on the gas consumption.Automatically adjust the engine throttle to save diesel fuel. 4.Microcomputer intelligent control Air Compressor discharge pressure, exhaust gas temperature, engine speed, oil pressure, water temperature and fuel tank level operating parameters with automatic alarm and shutdown protection. 5.Multi-stage air filter, suitable for dusty work environment; multi-stage fuel filter; large oil-Air Cooled Water Chiller, suitable for high temperature, high altitude environment. 6.Spacious maintenance doors, parts and components to be maintained within the accessible range, the maintenance of air filters, oil filters, fuel tanks, batteries and oil coolers are convenient and easily which reducing downtime. 7.Easy to move in rough terrain conditions can still be mobile and flexible. Each Screw Air Compressor configuration rings for safe hoisting and transportation. 8.Using the famous diesel engine, like the Cummins, Steyr, Yuchai and so on. Strong power, reliable operation, fuel saving and low-level emissions and noise. Looking for ideal Direct Driven Screw Air Compressor Manufacturer & supplier ? We have a wide selection at great prices to help you get creative. All the Portable Air Compressor are quality guaranteed. 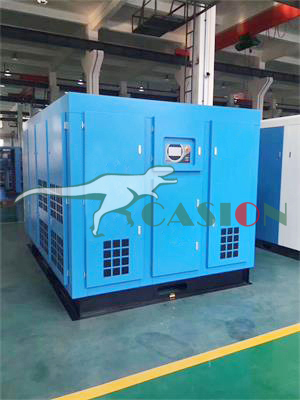 We are China Origin Factory of Portable Diesel Screw Air Compressor. If you have any question, please feel free to contact us.